Keith Crain presents an easy target for a New York-based transportation policy blog, which posts a brutal sendup of his latest weekly column. The Detroit media executive "saw some bike lanes and wants you to know that he is so mad!" writes Angie Schmitt, editor of Streetsblog USA. "Some public agency put these bike lanes in without personally informing Keith Crain." Schmitt joins Metro Detroiters shaking their heads since Sunday over a broadside against the spread of city bike lanes, written by the head of Crain Communications. Streetsblog, created by a Lower Manhattan nonprofit called OpenPlans, says it has "hundreds of thousands of readers" and is part of "a national movement for transportation reform." Schmitt describes Crain as "irrationally upset" and says he writes "a screed that revels in its own ignorance." Keith Crain hasn’t bothered to gather any basic information about the bike lanes. Can "motor scooters" use the lanes? Keith Crain does not know! Researching what local traffic law says about bike lanes before printing a piece for thousands of readers would be too much trouble, however. Crain also isn't sure how many people are biking. Not many, he suspects, and his unconfirmed guesswork is good enough to print in the newspaper that bears his name. Next time, Keith Crain might want to look up the bike commute rates that are easily retrievable from the Census. About 1 percent of Detroiters commute primarily by bike. That may not sound like much, but the share of bike commuters is rising. Just a few years ago Detroit’s bike commute mode share wasn’t large enough to register. The bike network is making bicycling safer and more appealing, and if cycling growth continues at its current pace, in a few years tens of thousands of Detroiters will be biking every day. "You kids get off my road." That line isn't in a new diatribe against "these miles and miles of bicycle lanes" in Detroit, but it comes to mind for some readers of an out-there column by the boss of Crain's Detroit Business. "They are converting our city streets into bicycle lanes all over the city," Keith Crain, chairman and owner of Crain Communications writes in this week's issue. "We are spending a heck of a lot of money to convert Detroit into a bicycle paradise." Predictably, social media pushback is prompt, pointed and provocative. "Is this satire?" urban studies blogger Michael Stepniak asks on the publication's Twitter page. "This is terribly uninformed and, frankly, irresponsible," city government employee Katy Trudeau posts on Facebook. She has an urban planning master's degree from Wayne State and is a development director in the Housing and Revitalization Department. At Crain's site, 20 mostly critical comments appear under the commentary. "Why not just stand outside and scream at the kids to get off his lawn?" posts reader A.L. Cadillac. "A tour de force of entitled arrogant privilege." It's the second time in three weeks that the company founder's son makes waves with his weekly column. Late last month, he derided "a very shortsighted view" by critics of using Belle Isle for the Detroit Grand Prix. Now his targets are city Planning Director Maurice Cox, the nonprofit Detroit Greenways Coalition and other bike lane advocates. Cox, hired by Mayor Mike Duggan in 2015, pledged the next year that "Detroit will be America’s best city for bicycling." John Gallagher, the Freep's veteran urban affairs writer, two months ago reported on progress: "From less than 10 miles of bike lanes a dozen years ago, Detroit now sports about 125 miles of bike lanes, with many more in the works -- including plans for such major routes as East Jefferson and Livernois." The city's plans for hundreds more miles of robust bike lanes, protected from traffic and clearly marked, would create a city that is healthier, easier to navigate, and more welcoming to all. . . .
Detroit will benefit from its fast-developing bike culture. . . . 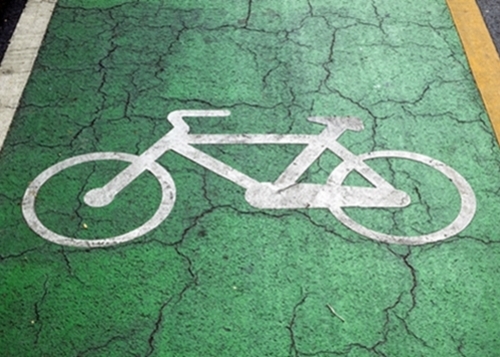 Safe, convenient bike lanes remain an essential part of that better future. The city seems to be planning on a whole lot more bicycles than any of us have seen before. . . . They are discriminating against cars in favor of two-wheeled transport. . . . I am mystified as to why our city is spending all this money to make these changes. My guess is that we are talking about a 20,000-to-1 ratio of cars to bicycles, and that is only when the weather is perfect in the summer. . . .
To say he stirs a bit of a backlash would be like saying Kilauea lets off some steam in Hawaii. Some cycling partisans feel Crain also makes an ash of himself. Lol. That’s all I can do. . . . Detroit has moved well beyond him. Keep moving forward and don't look back. Cranky much? . . . A bicycle is affordable transportation for most of the residents of Detroit. -- J.D.P. Very bad take. . . . Narrowing a six-lane thoroughfare -- built for a city with 3x more population than it has now -- to four lanes for cars, with bike lanes on the curb, is now "discriminating against cars." LOLOL.